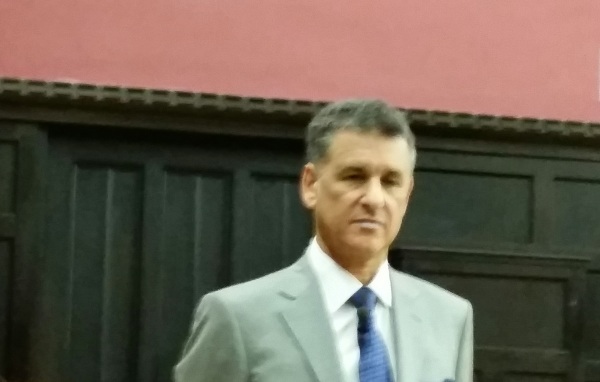 Today, I attended award-wining author and neuroscientist Daniel Levitin's talk about the organised mind – thinking straight in the age of information overload at the Divinity Lecture Theatre organized by the RSA in Cambridge. In his talk, Daniel reviewed the cognitive neuroscience of attention and memory, and how recent findings can help all of us to become more productive. His talk addressed the myth of multi-tasking, advice for how to better structure our time, and how to better organise decision making using examples from health care contexts. Modern society is in a state of data deluge, and our brains are struggling to keep up with the demands of the digital age. In 2011, we took in five times as much information every day as we did in 1986 – the equivalent of 175 newspapers read from cover to cover. During our leisure time every day, each of us processes 34 gigabytes, or 100,000 words—and that’s not even counting our work. The need to take charge of our attentional and memory systems has never been greater. Here are some of his insights Daniel presented in his talk which he conducted without any slides just with some index cards. Multi-tasking - the human brain can not multi-task according to Daniel. What some call multi-tasking is just switching from one subject rapidly to another. 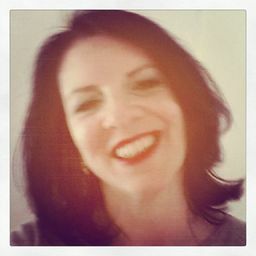 Since we're fractioning our concentration, we concentrate less on each subject and we're getting less done in the end. Miller 7 +/- 2 - rule - Daniel claims, that the rule of Miller ("The magical number 7", 1956 in which Miller tested, that our short term memory can just concentrate on 5 to 9 things at a time) is not true anymore, most of us can now only concentrate on 3, maybe 4 information chunks at the same time. "Self-impaired brain", Cognitive illusion", "Self-delusion" these are Daniel's terms for our behavior to make stuff up just to feel good about things, for example the idea that one can perform "multi-tasking"
Jobs with rapid shifting between simultaneous tasks show that it is very exhausting to do things in parallel. Simultaneous translators or pilots have to take long breaks every couple of hours. Mind-wandering mode - is non linear thinking in opposition to central focussing or the Central executive mode. It helps us to restore like a nap, for example staring out the window. It works like a neuro-refresher and is activated by the insula, part of our brain located in the middle of our head. Decision-fatigue - if we are to long in the Central executive mode then we are getting tired to make decisions. That is why many decision makers do their important stuff in the morning (well, not me ;-) ). prioritize, write to-do lists, check them once or twice a day, put them on handwritten index cards, active writing-up things connect better to the brain, rewrite every morning or every evening. Then, you don't have to worry what you have to do next. What you're doing now is what you should do. After the introduction of examples in medical decision making and using data from cell phones followed by a Q&A session (for example: no, it is not a good idea to hear music while studying) we had a nice reception with wine and talks. What an inspiring evening! The RSA (Royal Society for the encouragement of Arts, Manufactures and Commerce) is a registered charity. There are committed to finding innovative and creative practical solutions to today’s social challenges. and one day later in London https://www.youtube.com/watch?v=PaDmHLejKUU, both videos where clicked by thousands of viewers! Watch!